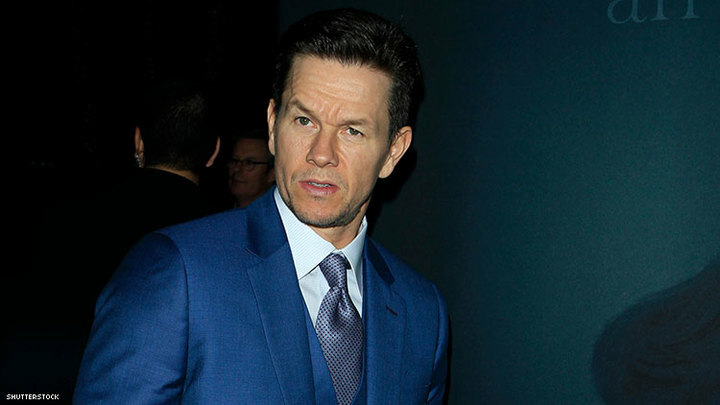 Wahlberg reportedly used "costar approval" to ensure he $1.5 million payday in wake of the Kevin Spacey sexual predator scandal. Earlier this week news dropped that while All the Money in the World star Michelle Williams opted not to take a payday to facilitate removing any traces of accused sexual predator Kevin Spacey from the film, her costar Mark Wahlberg and his team negotiated a $1.5 million deal for a 10-day reshoot that took place over Thanksgiving week. But Wahlberg, who had “costar approval” in his contract, not only chose to profit off Spacey's alleged history of preying on underage boys, he reportedly took things a step further and refused to sign off on veteran actor Christopher Plummer replacing Spacey in the film unless he was paid a handsome sum, USA Today reports. "What he said was, 'I will not approve Christopher Plummer unless you pay me," a source told USA Today. Another source said that Wahlberg’s lawyer wrote a letter to financiers threatening that his client would not approve of Plummer in the role until he was paid. Former underwear model Wahlberg was the highest-paid actor last year, pulling in a cool $68 million, according to Forbes. Yet he was completely out of sync with Williams, who took only $80 per day for her expenses to facilitate scrubbing Spacey from the flick that tells the story of John Paul Getty III's kidnapping. But it wasn't just Williams who chose not to profit off the scandal. Director Ridley Scott confirmed to USA Today that he did not take a check for the reshoot. Since the story broke that Wahlberg chose to use the #MeToo moment to profit from reshooting the film, The Wrap has reported that reshoots weren’t in Wahlberg’s contract while they were in Williams’s. But a source told USA Today that Wahlberg and Williams, both clients of William Morris Endeavor (the talent agency that negotiated the Spacey scandal payout for Wahlberg) had reshoots worked into their contracts. The Advocate sought comment from Wahlberg's representatives but received no response. Williams, who attended this week’s Golden Globes with #MeToo movement founder Tarana Burke as her guest, previously told USA Today that she would do whatever she could to help with the reshoot.